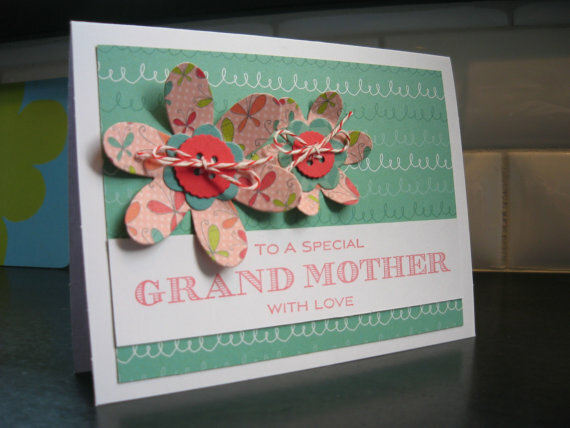 Send happy wishes to your grandmother with this pretty handmade mother's day card. 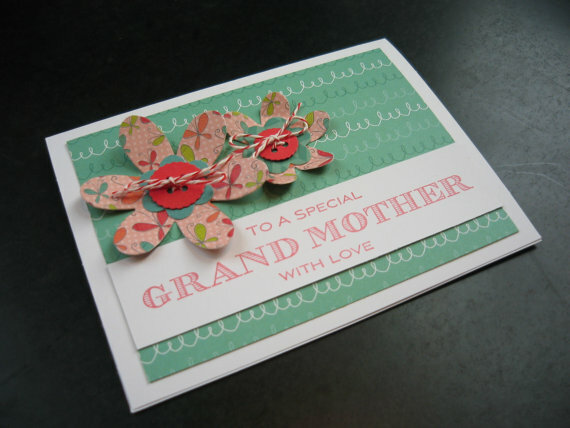 Front: card is on white cardstock that has been covered in patterned paper. 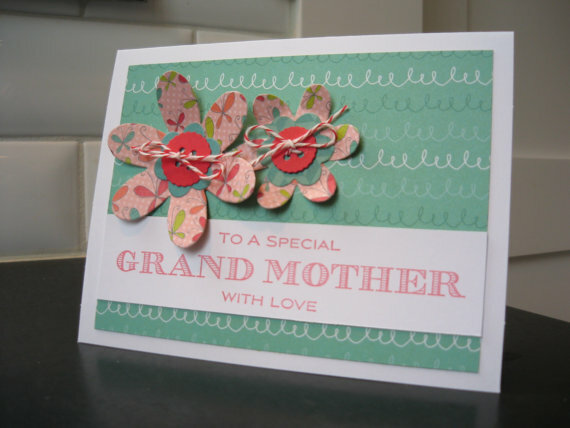 "To a wonderful grandmother" has been stamped in red on a white strip. 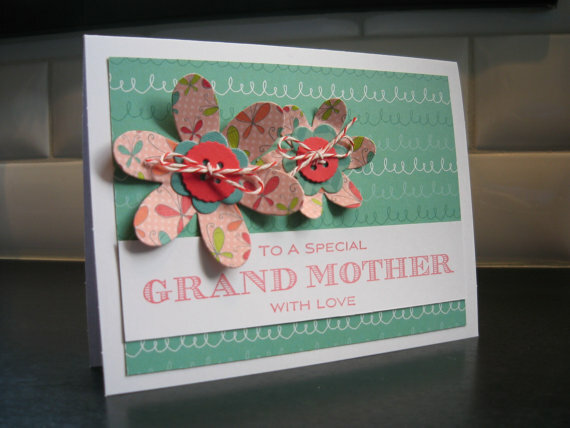 Some flowers and buttons have been punched out and adhered to the card. 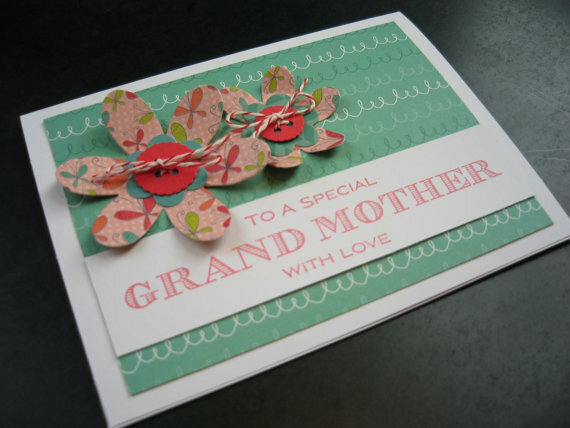 On the back: there is one image-- a "Handstamped by......" stamp.